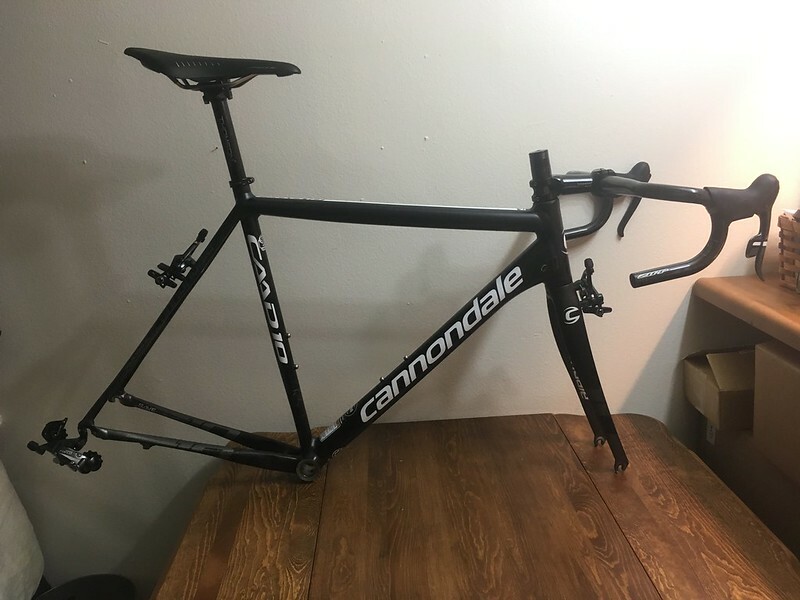 I just grabbed up a nice 2012 CAAD10 from theproscloset on ebay and have some plans for it. Last year I built up a 56cm CAAD9 with 1x10 and it was awesome. I rode it all week on ragbrai with the same gearing that I have planned for this one. -First I'm going to strip everything from the frame and move it over to a bike for my dad. -Then the plan is to outfit it with Force 1x11. Gearing will most likely be 48T up front on a BB30 Force CX1 crank and 11-28 or 11-32 out back. 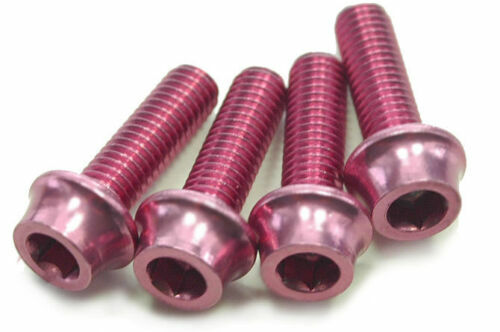 Most likely I'll stick with the WiFli RD but may end up with the clutch Force CX1 RD. 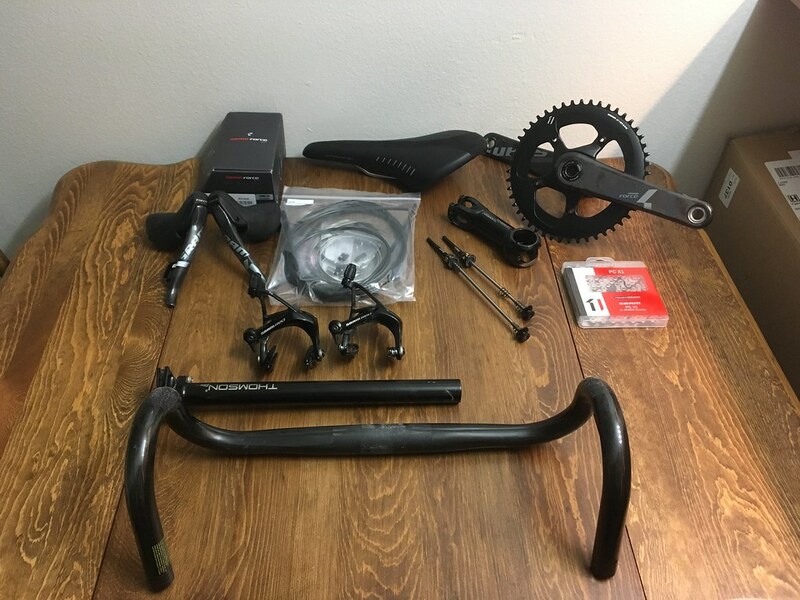 -Finally, I'm on the hunt for a nice finishing kit (Bar, Stem, Seatpost) to go with the all black look. Wheels, who knows! 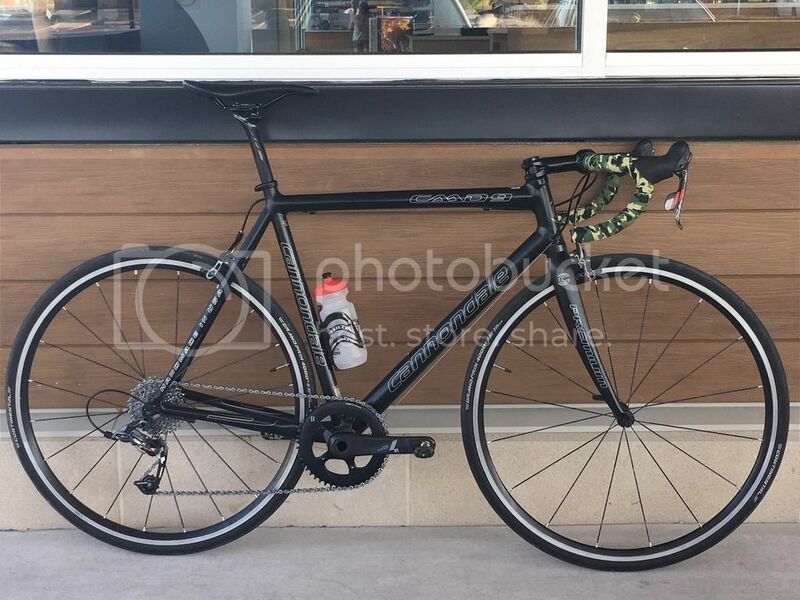 Pic from eBay ad, the bike should be here by the end of the week. Last edited by kppolich; 02-07-2017 at 06:52 PM. I thought road race bikes looked funny with no double crank or front derailleur, but this is making me warm up to it. Looks goood! What a difference from the eBay pic. Very nice! 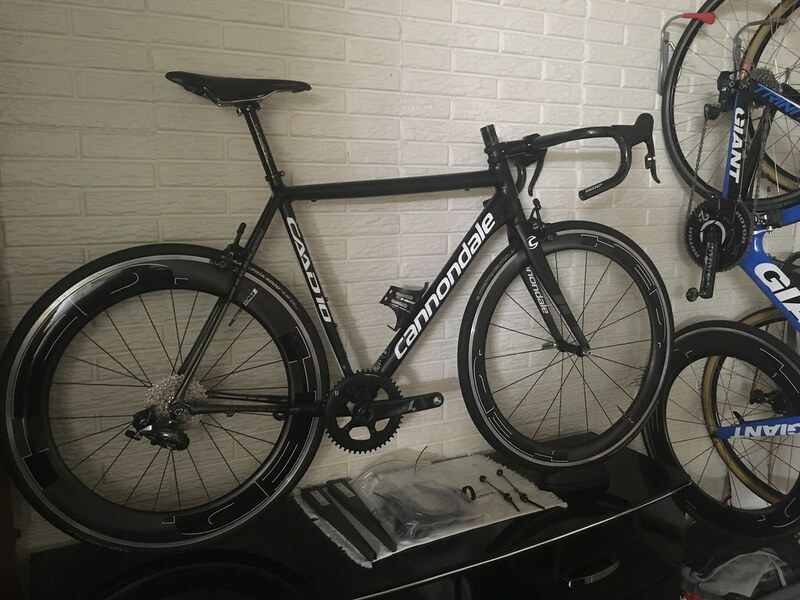 What did you end up doing with the CAAD9, because it looks really good! I like my *Thomson* stems, posts, and especially the bars but I know a lot of people lately that like the Zipp aluminum stuff. Last edited by hollowgram5; 01-15-2017 at 09:36 AM. Ended up selling the CAAD9 to fund a CX build. It was an awesome ride. Moved to 11sp and found this CAAD10 so it should be around for a while. All parts here except of 11-32 cassette. Build week! starting the build off with a rough in. Zipp carbon bars, thomson elite stem and post, SRAM red black version brakes, WiFli rear der, and shifters on. Last edited by kppolich; 08-11-2017 at 01:59 PM. Can't wait to see the final product. What is the plan to remove the derailleur bracket? The front der. hangar is staying! I would think that's a great idea; if you ever wanted to run as a double or sell the frame you don't limit your potential market.. I agree, but it just looks so much cleaner without like that 9. Bike is in the shop getting the steerer cut and cabled up. Finishing touches to make it "mine"
Also, looking for something to add to the top tube white section. Small, subtle pattern that is easy removable and easy to apply. Last edited by kppolich; 01-27-2017 at 11:32 AM. Hed Jet 5/7's, should be all buttoned up today!